Commission sharing agreements (CSAs) are not sufficient to achieve full unbundling of payments for brokers’ services, despite a recent Financial Services Authority report praising their effectiveness, according to some market observers. Commission sharing agreements (CSAs) are not sufficient to achieve full unbundling of payments for brokers’ services, despite a recent Financial Services Authority (FSA) report praising their effectiveness, according to some market observers. The review, published on 7 April by the UK financial regulator and economic consultancy Oxera, stated that use of CSAs by investment managers had increased to 70% from 50% in 2005 and that a range pf performance indicators were “consistent with the theory that the new regime has limited the use of dealing commission and permitted greater separation in the purchase of execution and research”. The current rules, introduced by the FSA in 2006, were intended to provide greater transparency on costs to end-investors, confine the use of commissions to pay for research and execution services and encourage the use of payment mechanisms to enable services from brokers to be purchased separately. 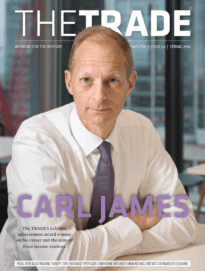 “With CSAs, asset managers, our clients and trustees have a more transparent picture of what is being paid for different services, especially when used in conjunction with the Investment Management Association’s (IMA) Level 2 disclosure reporting,” Brian Mitchell, head of dealing and portfolio control, Baring Asset Management, told theTRADEnews.com. The IMA’s level 2 disclosure code requires the disaggregation of transactions by counterparties and for disclosure on the amount of commissions generated on those transactions and the services received for commissions. But others consider the current CSA regime inadequate. 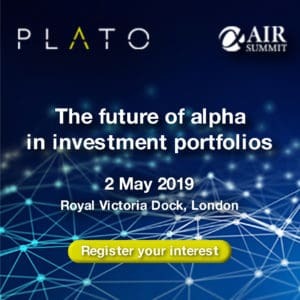 Balarkas argues that because asset managers are sending orders to brokers based on factors other than their execution capabilities, the current focus on best execution at other stages of the transaction lifecycle is meaningless. Clare Vincent-Silk, principal, operations at Investit, an investment research and consulting firm, noted that, while CSAs are being used more extensively by investment management firms, the wide variance of commission rates suggests the prices often include more than just execution. “Firms feel the need to provide a reasonable level of commission to their brokers to receive certain services such as analytical tools, market data and execution management systems, the costs for which can be far from transparent,” said Vincent-Silk. She added that because some of these applications and services have become so embedded in the trading process, it is not clear to firms whether it is appropriate to use execution commissions to pay for them. While a more robust solution than current FSA guidelines might be required to further improve transparency, it may be difficult to implement more stringent rules as these could result in higher basic fund management fees. “The regulators could force implementation of unbundling at any time, by simply insisting on separate explicit fees for research and execution, although as discussed back in 2005/06 there could be knock-on effect incurred with regards to fund management fees,” said Mitchell.